An all-season steel belted radial for domestic and imported sedans, station wagons and passenger vans. Tread design delivers year-round all-season traction. 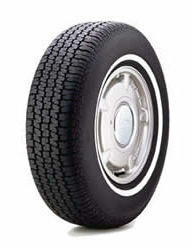 Steel belted radial construction provides good handling traction and durability.